Oliver Queen and his sidekicks won’t be the only DC superheroes in Star City when Arrow returns for its fourth season this fall. 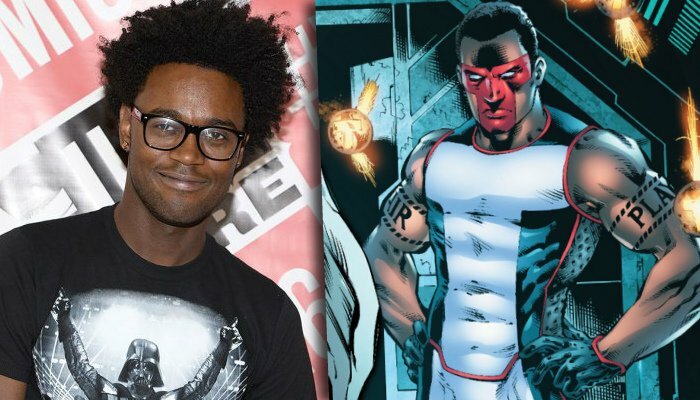 According to THR, Ben and Kate and Key and Peele actor Echo Kellum has joined the series for a recurring role as brilliant Olympian-turned-superhero Mister Terrific. In the comics, Mister Terrific is the alter ego of Michael Holt, who’s considered the third-smartest man on Earth in the DC pantheon (after Batman and Lex Luthor). Not only is he an Olympic gold medal winner, but he’s a master of six martial arts and and has fourteen Ph.Ds – in subjects like engineering, physics, law, psychology, chemistry, political science and mathematics. And as if that weren’t enough, he’s a self-made millionaire too. So, you could say he truly is terrific. After the tragic death of his wife and unborn child, Holt nearly committed suicide but was approached by the Spectre, who inspired him to become a superhero instead. He then put his intellect to use and invented a T-shaped mask made of nanites that acts as not only a disguise but a communications system. He also has floating robotic “T-spheres” that offer holographic projection, act as weapons and are able to carry Mister Terrific, enabling him to fly. Not much is known about the direction of the character for Arrow, though producer Greg Berlanti revealed that he will work with Felicity Smoak and that he’ll also be gay. With Brandon Routh’s Ray Palmer/Atom likely busy with the upcoming Legends of Tomorrow spinoff, there’s a vacant spot on the series for another tech-based hero, and Mister Terrific is definitely an exciting choice. Tell us, are you excited to hear that Mister Terrific is coming to the series? How do you feel about Echo Kellum’s casting? Sound off in the comments below. Arrow will return on October 7th, 2015.